ElastoCrete technology is a truly limitless concrete product, this incredible system allows for 3 times faster installation and more then 50% less grinding steps when compared with traditional systems. 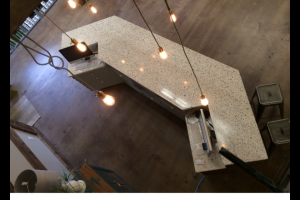 Not only does this amazing product give you the ability to create seamless uniform countertops and flooring, you are limited only by your imagination. 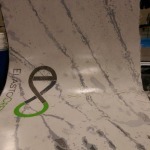 ElastoCrete is available in a variety of mixes white marble; Shell mix & fiber mix to name a few. These various mixes coupled with the products ability for aggregate loading allow you to achieve any stone finish with unlimited color options – Marble, Quartz, Granite, Concrete, and Travertine, the sky is the limit! No, there is no limit!